Gone to the highest bidder! 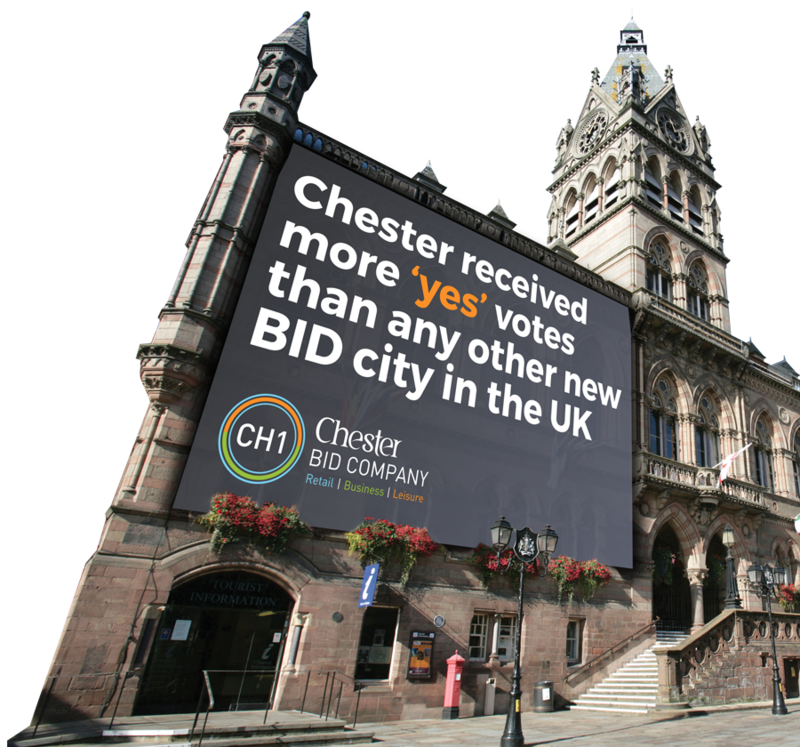 Our job was to help Chester city centre to become a Business Improvement District (BID). We needed votes, lots of them in fact. 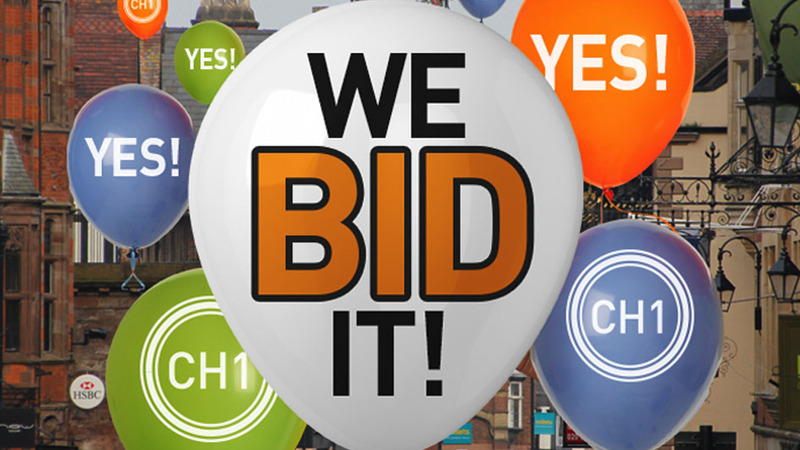 By the end, we’d communicated with every single business in the city district and the campaign received the most YES votes of any new BID in the UK. We devised, co-ordinated and implemented the entire communications strategy from launch events to press releases, and social media content. We also designed the brand marketing collateral including annual reviews, newsletters, newspaper wraps, leaflets and we designed and built the CH1 website and enews campaigns. The campaign reached 8 million people in Chester through media coverage alone.